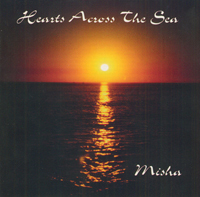 I'm pleased to announce the release of my new CD, Hearts Across the Sea. I composed the music and perform on the piano for the CD. reflects the ethereal patterns of beauteous sound." for her unfailing support and generous assistance. The cover photo was taken by my friend Galina Rostova.